Hand-picked from the thousands of emails sent on e-shot™ the victorious Campaign of the Month is, as usual, a very deserving champion. Without any more waffle, let’s get down to business. 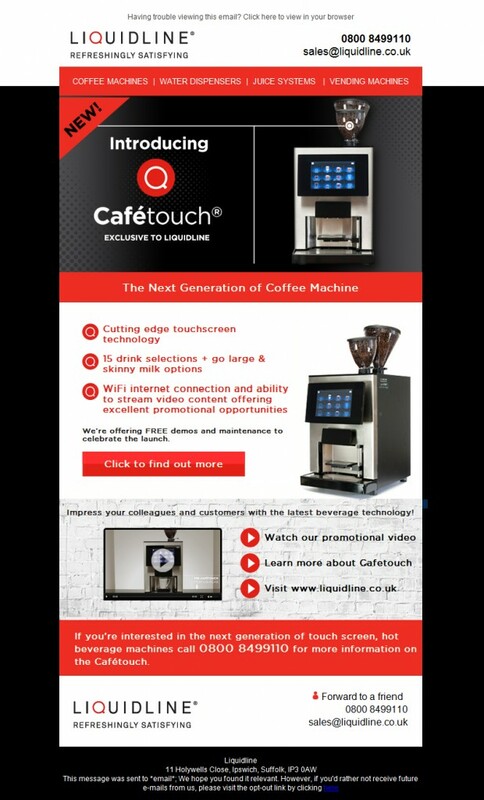 The winner is Liquidline for their campaign, “Introducing Cafétouch”! Read on to learn exactly why their message has claimed our coveted prize.